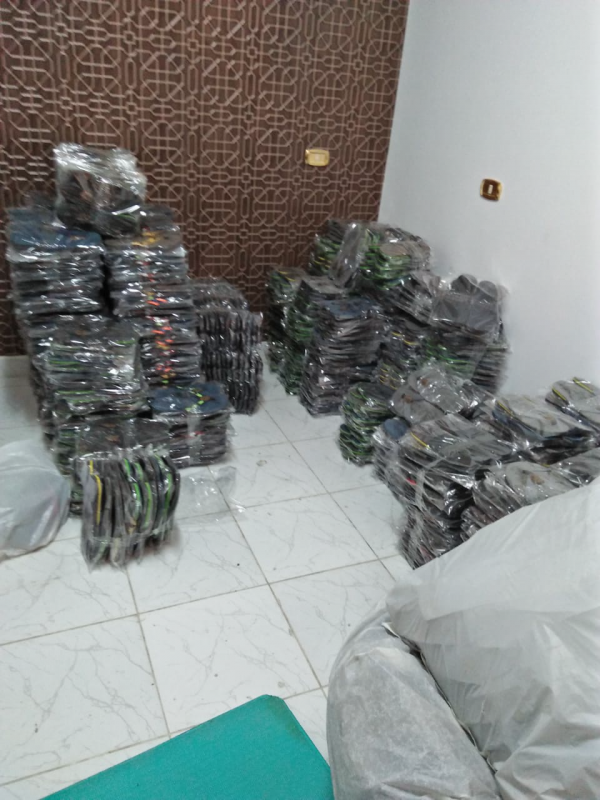 The Legal Groups Intellectual Property Division has concluded a major raid in Egypt together with authorities there. Some counterfeit shoes were discovered on the market in one of the main cities in Egypt. Information was gathered regarding the source of these shoes. The intelligence implicated a certain trader and his two warehouses in the production of counterfeit slippers and shoes. The shoes were exhibiting several big international brands, whose trademarks are protected. TLG together with Authorities then initiated a raid on the warehouses. The trader was found in possession of almost 20 000 pieces of counterfeit shoes and slippers. In addition to this there were also over 2000 pieces of raw materials (unfinished shoes) also recovered and various material and equipment used in the manufacturing process. At TLG we are passionate about protecting customers and brand owners alike. We consider it important to remove counterfeit products off the market, but more so is the importance of dealing with the source of these counterfeit products. As such the trader will be further prosecuted and all equipment seized and destroyed.